Can Pietersen change English cricket’s attitude to LOIs? Well, well, I never actually expected to see KP in charge for at least another 4 – 5 years, so it’ll be a pleasant experience to see him lead the side out for the fourth test against his country of birth. 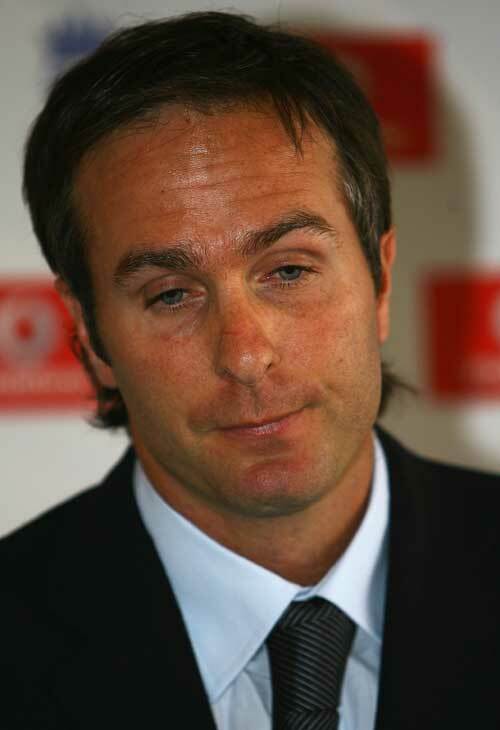 Michael Vaughan had to retire in unfortunate circumstances. I feel he deserves a whole blog post, so I won’t say anything more about him (the post will come only next week, as I’m really bogged down with office work) in this post. However, Collingwood’s resignation was a big shock at first. I was gaping at my monitor when I saw Cricinfo’s main page saying that Colly also retired. He’s a really great guy, one of my all – time favourites (behind Lara, Warne, Symonds and Jayasuriya) because one of a handful of cricketers who can really make a big contribution in all 3 departments. But, you know, thinking deeply about it, I do realise that he hasn’t made much of a big contribution during his captaincy, and his record of 10 wins in 25 ODIs (and a big failure at the T20 world Cup) really tells you the reasoning behind his decision. Now, coming to the man of the moment, Kevin Peter Pietersen! This guy could well be the person who can really give England the impetus in T20s and ODIs. Just look at it, he must be the most (perhaps only) brash and confrontational cricketer that is present in the England team, and he may be able to pass it on to his team – mates. As they say, the team copies the attitude of the captain, and with KP’s attitude, England may become one of the most successful limited over’s side captain that England may ever have. As far as tests are concerned, this guy may be able to take it to the Aussies, and get the urn back from the Aussies, but this is only dependent on the batsmen and bowlers given to him. I just sincerely hope that he doesn’t pick only from the ‘family’ like Michael Vaughan used to. So, I’m quivering, and I just can’t wait for the start of the next test on Thursday. Just as we thought the 4th test might be drab because it’s a dead rubber, KP’s appointment may just be the dose to make this test a one to watch!